The rise of video sharing platforms like YouTube and Vimeo over the past decade has democratized the distribution of videos and short films, allowing directors and content creators to reach a vast audience through the internet. Naturally, YouTube and Vevo have taken over the reins from outlets like MTV, allowing artists more creative freedom to complement their music in a visual format, uploading everything from music videos to behind-the-scenes footage, vlogs, and live performances. Not ones to underestimate the reach of YouTube, artists like Jordan Rakei and Tom Misch have released a myriad of videos on their respective channels over the last few years, especially in the lead up to their album releases. Rakei’s sophomore album Wallflower was released in September 2017, while Misch’s album Geography was released this April. Both these London-based artists have worked extensively with director Tom Ewbank to produce a variety of music videos and short documentaries over the past few years, raising the bar each time. Aside from the usual promotional fare of music videos, both Rakei and Misch have collaborated with Ewbank on documentaries cataloging their recording process, allowing fans to peek inside their recording studio and creative process. 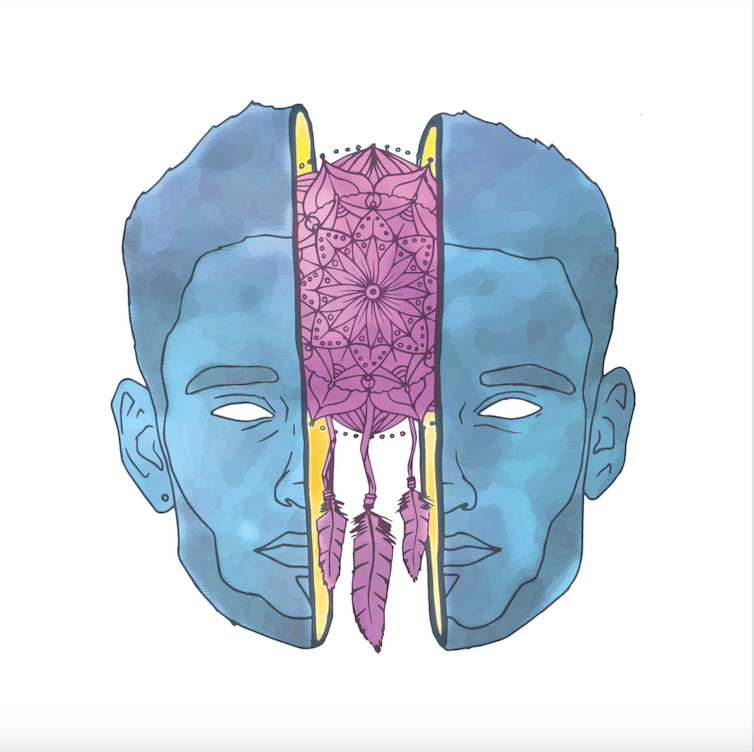 Rakei’s latest single to receive the video treatment is “Eye to Eye,” the opening track off the highly underrated Wallflower. The video opens with a wide shot of a deserted beach, before closing in on a bleeding Rakei dragging a dead body out of the sea. Gradually, the synths swell and the music unfolds, and we follow Rakei’s character in the aftermath of the event as night falls and his behavior becomes increasingly more erratic. The music video plays out like an episode on a BBC crime drama; Rakei’s acting is so thoroughly convincing. It hooks you in until the last second of the twist ending, making it impossible to avert your eyes. The “Eye To Eye” video mirrors the dynamics of the track to a T. While the song starts off calm with a gently strummed guitar, it flips into what feels like a different track after the chorus, as the synths and percussion kick in. Similarly, the opening shots of the video are slightly ambiguous, leaving the viewer unsure as to the direction the video is heading in, but by the time the chorus arrives, there is no question that Rakei’s character has committed a heinous act. The video lends a sinister edge to the song, bringing new meaning to the lyrics of the chorus. Much like “Eye To Eye,” Ewbank’s video for Tom Misch’s “Watch Me Dance” also features a desolate stretch of beach, opening with a gorgeous shot of coastline before cutting to the protagonist. However, that’s where the similarities between the two videos end. Tonally, the video for “Watch Me Dance” is a complete 180 from the “Eye To Eye” video, largely featuring overhead shots of the seaside landscape, and artist Ed Stanbury creating a piece of sand art on the beach. The “Watch Me Dance” video perfectly encapsulates the energy of the track, equal parts wistful and celebratory. With lyrics revolving around memories and daydreams, the symbolic use of sand art drives home the fleeting nature of time, and the transience of the present moment. Particularly striking is the editing throughout the video, which was cut to the beat of the track, alternating between the sweeping vistas and close-ups of Stanbury at work. Although both videos take place on a beach, it’s obvious that the narratives of the two videos are wildly divergent, reflecting the subject matter and lyrics of the respective songs. Everything down to the smallest detail feels pored over – even little elements like the color grading cater to the individual track, with “Eye To Eye” saturated in blues and cool tones, and “Watch Me Dance” full of warm tones and browns. On the whole, both videos are further proof that exquisite videos arise from fruitful collaboration between artists and directors, lifting the music to greater heights.